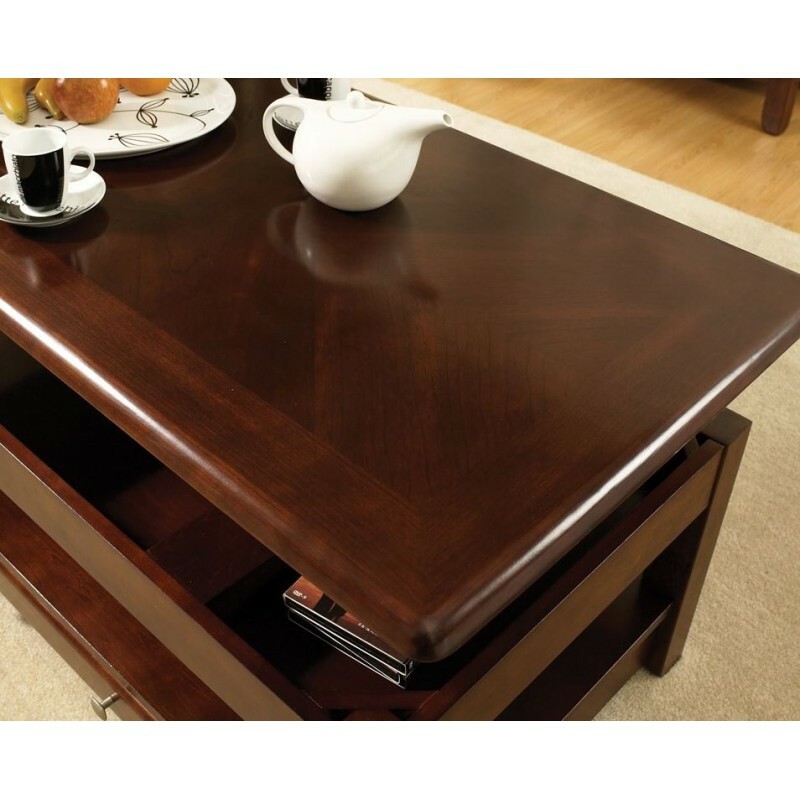 The Nelson occasional table collection features simple transitional styling. The centerpiece of the collection is the lift top cocktail table... great for eating or working. The tables are finished in a rich cherry. Collection pieces include a rectangular lift-top cocktail table with casters, end table, and sofa table. 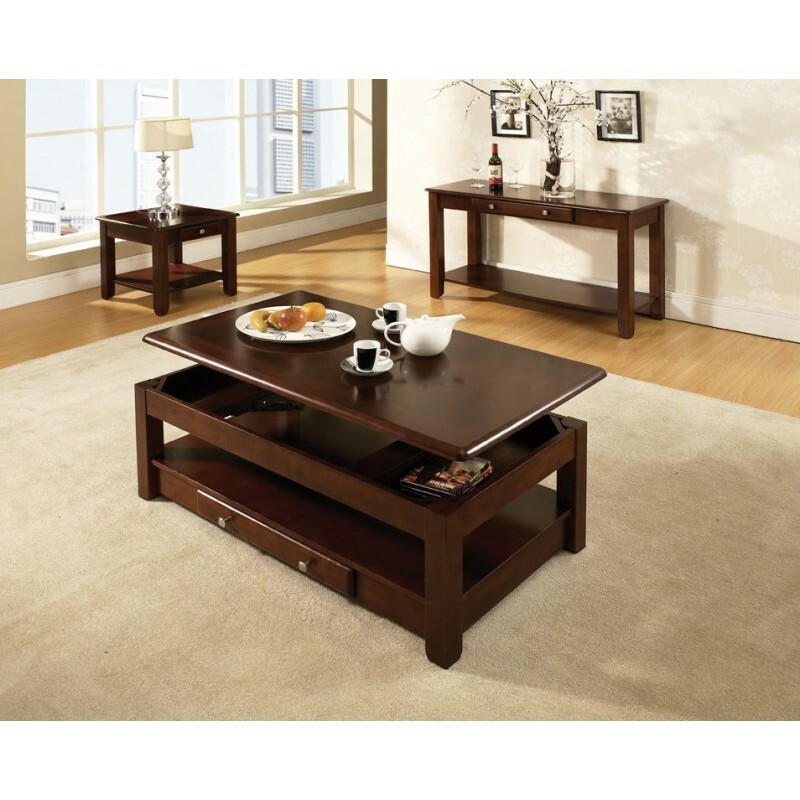 NE300CLC Nelson Lift-Top Cocktail Table, Cherry, 48"x26"x18"
NE300EC Nelson End Table, Cherry, 22"x24"x22"
NE300SC Nelson Sofa Table, Cherry, 48"x18"x29"